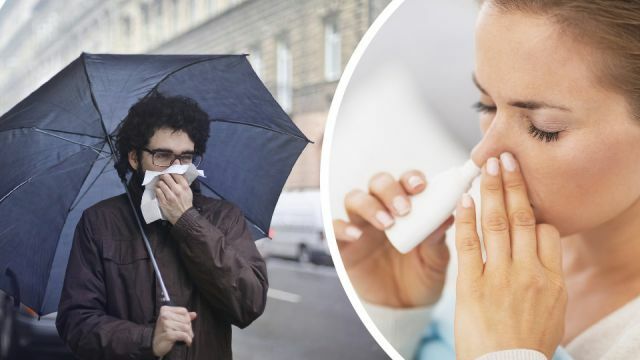 Various factors of city life are ruining your sense of smell, according to one scientist — and that could increase your risk of death, research has found. A study conducted on adults over 57 found that those who couldn’t identify particular smells like fish, leather or oranges were three times more likely to die in the next five years. However, hold your horses, as the loss of smell here doesn’t necessarily cause death. Rather, it can indicate exposure to toxic chemicals or cell damage. You also don’t need to panic if you temporarily lose your sense of smell due to a blocked nose or allergy — as that is clearly different. Death is obviously a worst-case scenario. For Kara Hoover, a scientist who specializes in olfactory evolution, pollution can cause an impaired sense of smell, which in turn leads to craving richer-tasting salty or fatty food, and then obesity. She argues there is also a greater risk of mental health problems like depression or anxiety as people struggle to detect their own body odor or interact fully with loved ones. Yikes! So what specifically could be ruining your sense of smell? Here are six possibilities. There are some medicines that can interfere with your sense of smell; antibiotics, some anti-depressants, inflammatory and heart medications being the main culprits. These medicines may block nerve pathways or alter the mucous layers of the mouth, making it harder for smell molecules to dissolve and be detected. Any side effects like this typically go away once use of the medication stops. Unfortunately, cancer drugs can also cause partial or a complete loss of smell. In that case, people tend to gain their smell back around six months after ending treatment. As mentioned, pollution can severely impact your sense of smell. Studies prove that herbicides, fungicides, pesticides, disinfectants, germicides, soil fumigants, dyes, pharmaceuticals, textile wastes, smog, perfumes, flavors, plastics, synthetic rubber and other industrial substances can all cause serious alterations in taste and olfaction. Well, pollution can contribute to depression, and it seems depression itself can also cause a loss of sense of smell. For people experiencing depression, the part of their brain responsible for the sense of smell is typically smaller than normal. Most people know that smoking has a negative impact on the taste buds, but it’s actually the loss of the sense of smell that causes that (smell plays a key role in what we’re able to taste). Like breathing in pollution, breathing in the hot fumes of cigarettes is toxic for your olfactory senses. Researchers have found that stress can rewire the brain and alter your ability to smell. Anxiety can cause your emotional system to become part of the olfactory process, making previously neutral things smell bad. In this case, as well, it seems the damage is only temporary. Some of the most common reasons for a loss of smell include colds, the flu, allergies or growths in your nose. These causes of smell loss are temporary, but they are still unpleasant. Rinsing the inside of your nose with a saltwater solution is the cheapest, most natural and healthiest way to combat a blocked nose. You can make your own nasal spray to use with a neti pot. Or, even less hassle, you can just put some warm water in your hand, mix in a bit of salt and breathe that mixture in. After ten seconds, blow it out. Breathing in steam is also great. Do you have a favorite remedy for a blocked nose? Let us know in the comments below! Hey Buddy!, I found this information for you: "These 6 Things Are Ruining Your Sense Of Smell". Here is the website link: https://www.thealternativedaily.com/these-6-things-are-ruining-your-sense-of-smell/. Thank you.